Monday July 23rd 2018 - This week Overclockers UK launches its new Powered by ASUS range consisting of three bespoke systems each with is own unique design. 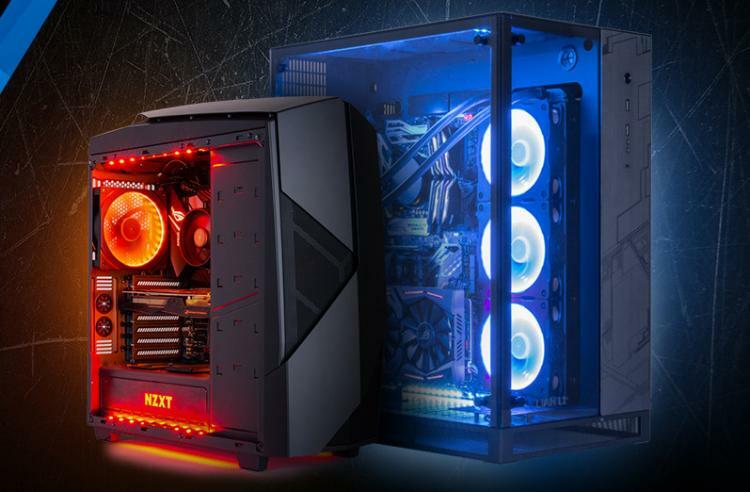 Featuring both Intel and AMD line-ups combined with quality ASUS components, they're the ultimate enthusiast gaming machines; plus each is backed with our 3 year collect and return warranty for total peace of mind. Built inside a Lian-Li PC-011 ROG Special Edition case, the Radiance Pro is a beautiful show piece system. Three tempered glass panels create a fully exposed design for its premium hardware and ASUS Aura Sync RGB lighting display. Complimented by the PC-011’s built in cable management, the Radiance Pro has a minimalist look despite packing a water-cooled 4.9GHz Intel Core i7 8700K and 11GB ROG STRIX 1080Ti. 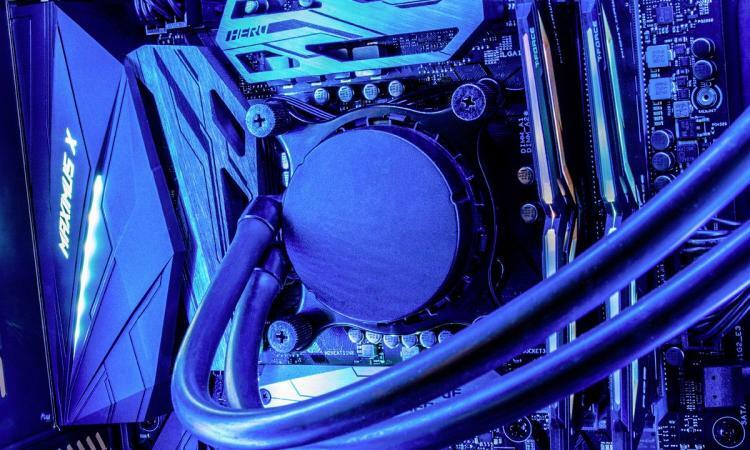 Inside the Radiance Pro you'll find a Maximus X Hero motherboard with its overclocked 4.9 GHz 8700K. The CPU is watercooled by a dedicated 360mm OCUK Tech Labs AIO with three RGB LED fans to keep CPU temps to an absolute minimum. Also inside the Radiance Pro there's 16 GB of 3200MHz Team Group RGB RAM, a 500 GB M.2 Samsung 970 EVO with dedicated heatsink and a 2TB Seagate Barracuda HDD. Let's not forget the 11GB ROG 1080TI too! Finally to power all this hardware, the Radiance Pro also comes with a Seasonic 550W Gold rated PSU, to ensure efficient energy use and minimal heat exchange. This all backed with it's full three collect and return year warranty. 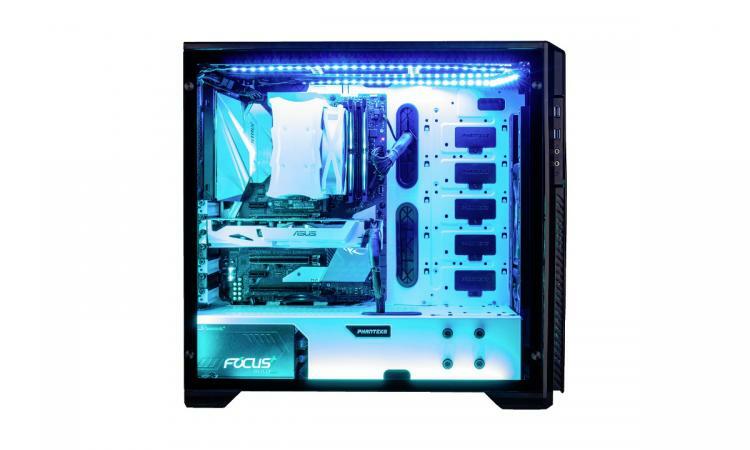 Designed around the Phanteks special edition Black/White Enthoo Pro M glass panel chassis, the Radiance Plus packs a lineup of white components to compliment it's monochrome colour scheme with options for RGB. The Radiance Plus comes out the box with a minimum overclock of 4.7 GHz on its i7-8700K, this being cooled by a Alpenfohn Matterhorn White Special Edition Cooler. It also comes equipped with a matching, VR ready, white 6GB ASUS GTX 1060. 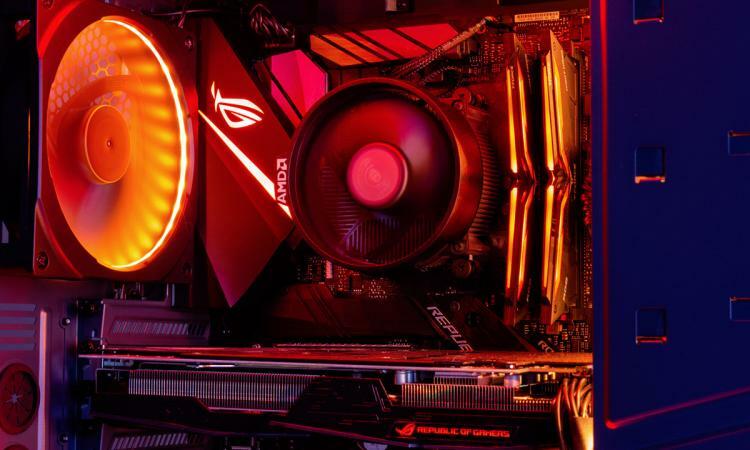 In terms of motherboard and RAM, the Radiance Plus packs an ASUS ROG Strix Z370-E alongside 16GB of 3200HMz TeamGroup RGB RAM. When it comes to storage, the Radiance Plus offers a 2TB Seagate HDD alongside a 250GB M.2 Samsung 970 EVO SSD for rapid boot times and peak gaming performance, but there's also options for an additional SSD should you need it. Powering this system is a Gold Rated 550W 80Plus Seasonic Focus PSU to ensure an efficient energy consumption with minimal heat output. This is all backed by the three year collect and return warranty. 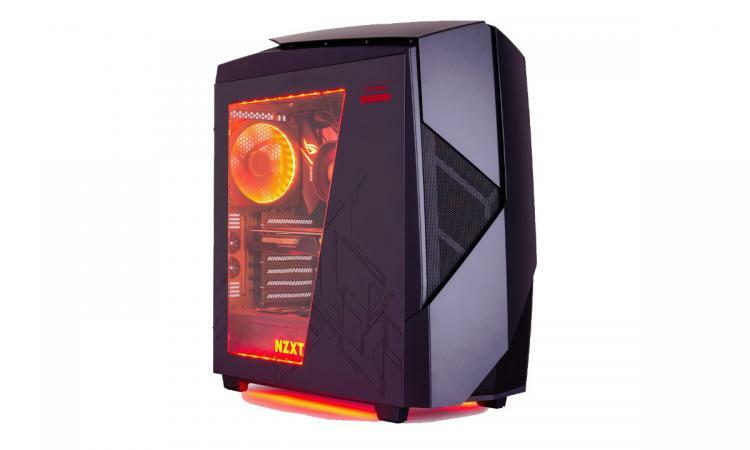 Distinguished by it's aggressively shaped ROG Edition NZXT Noctus 450 case alongside a dark red and gun metal grey colour scheme, the Radiance RZ is a machine which was made for Ryzen. The ROG Edition NZXT case event comes with custom vinyls on both sides, for that premium ROG touch we've come to expect. 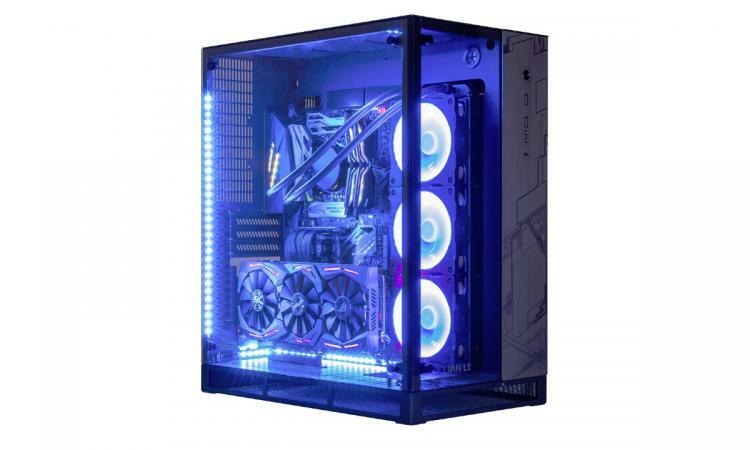 Powered by a six-core 3.9GHz Ryzen 2 CPU mounted on an Asus ROG Strix X470-F AM4 motherboard, the Radiance RZ will breeze through VR ready titles with its ASUS GTX 1060 6GB GPU and 16GB of 3200MHz Team Group RGB RAM. In terms of storage the Radiance RZ comes with a 1TB Seagate HDD alongside a 250GB Samsung 860 EVO SSD with additional storage options available if needed. Again, included with the Radiance RZ is a Seasonic 550W Gold rated PSU. What's included with my three year warranty? Our standard warranty is a full three year collect & return warranty including parts and labour. We also offer a labour free upgrade service should you wish to upgrade your PC during the warranty period. During the collect & return period we will arrange everything at no cost to you (UK Mainland & Ireland only). We will pick up your system, repair and test it, then ship it back to you. 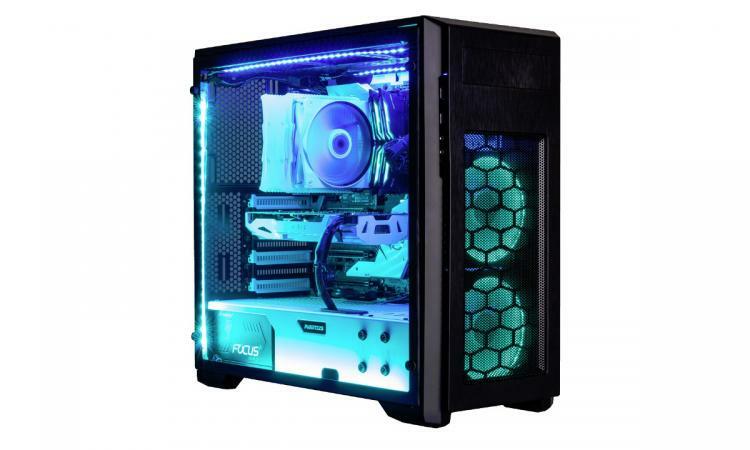 Systems are usually fixed and shipped out within 48 hours of receipt at Overclockers UK. If you are outside the UK Mainland & Ireland, you will be responsible for returning the system to Overclockers UK. What's the free upgrade service that's included? If you want to upgrade your system during the warranty period, our engineers will do the installation free of charge. You will only be charged for the components and the shipping.